This board is all about cool, fresh colors in a lively and unexpected combination. 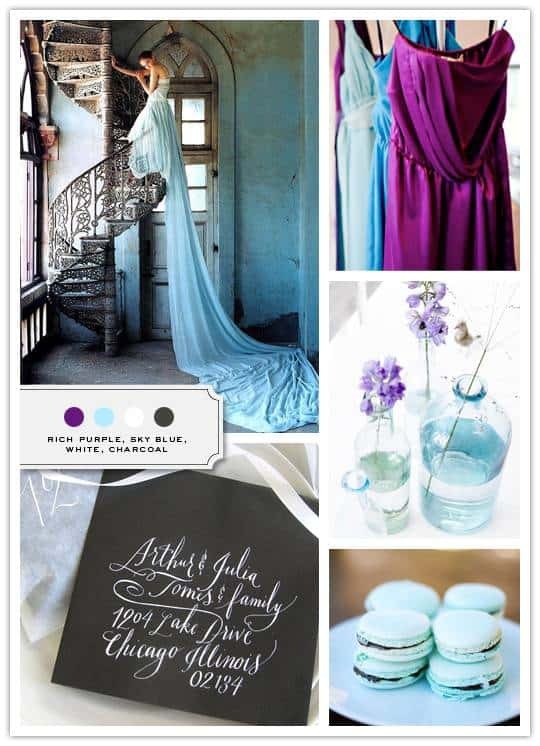 Check off your something blue a few times over and then add some edge with a spectrum of jewel tones, and you’ve got a perfectly unique and sophisticated palette to work with. The icing on the cake? Giving your bridesmaids so many flattering dress colors to choose from will keep you in their good graces so you can pull the bride card elsewhere. Win, win.